Keith Ratzlaff, professor of English, received the Dr. John Wesselink Award for scholarship with a direct impact on teaching. Ashley Scolaro, assistant professor of psychology, received the David Crichton Memorial Teaching Award for excellence in teaching. Jim Shriver, professor of chemistry, received the Frank W. Moore Faculty Award for promoting student learning in the natural sciences. Amy Young, associate professor of German, received the Huffman Award for Outstanding Support of International Education. 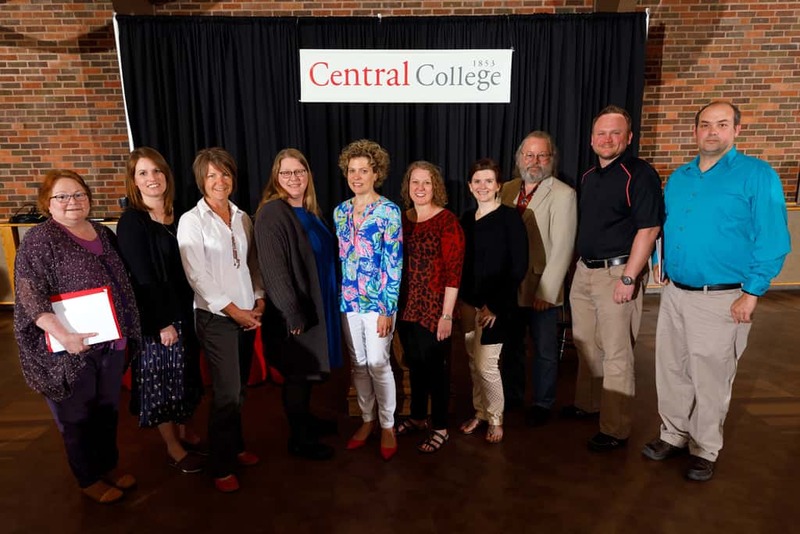 The ad hoc Committee on Faculty Culture and Communication received the Hutch Bearce Community-Building and Faculty Leadership Award for community building and mentorship or leadership. Committee members included Shelly Bradfield, associate professor of communication studies; Andrew Green, professor of political science; Kathy Korcheck, associate professor of Spanish; Linda Laine, associate professor of communication studies; Cynthia Mahmood, professor of anthropology; and Maggie Schlerman, assistant professor of accounting. Ashley Garr, chemistry; George Nwaogu, economics, accounting and management; and Ashley Scolaro, psychology.